Great gesture from Blake he focuses on the city and fans. You know he wanted to say something about the front office but let it go for now. Going to miss BG and the Clippers. They turned their back on him. Something he would never do to the organization. 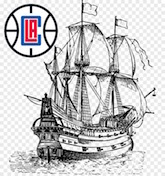 After being a fan since I was 8, since the 95-96 season, I am done with the clippers. Bye BG, and bye Clippers. I'm still shook. It’s a direction that was much needed for the gram, but just let’s you know that this is a business. I was hoping we would have Blake for life and retire his jersey. The Clippers literally guaranteed that he would earn $170,000,000 over the next five years, despite his being injury-prone and often petulant. I wish some company would "turn their back" on me like that. While this is true, it was also under the guise that he would stay in LA for his career, which was what was presented to him. If there was truly no plan of that, he would have been better off signing a 4 year max with Phoenix or Miami, places he wanted to go to, as opposed to now essentially being stuck on a team he didn't want to go to in his prime for 4.5 years. Now of course it's not the worst thing in the world, but in the NBA world, it's a pretty sucky situation. He stopped doing commercials maybe year 2. He lost his star appeal about that time. Maybe year 3. It stopped when Lob City stopped. How many I Love You Blake signs have you seen? Most fans knew who anybody on the all star team better than him. CP and DJ had the commercials. Why wasn't BG with State Farm? If he had played like an MVP as we expected, we wouldn't be having this conversation. With his injury history he was better off signing with the clips and getting that 5th year player option. If he opts in he will make $39,100,000. 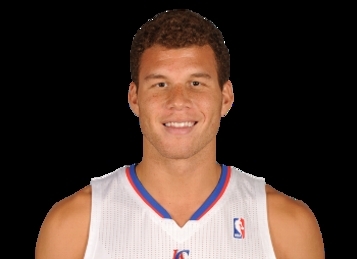 Ain’t no way in hell 34 year old Blake is worth nearly $40,000,000/yr. BG and DJ may have brought excitement back to the team but they didn't make the playoffs until CP3 joined them. Take away CP3 and now we know they are fringe and no longer the young bucks finding their ceiling. wrong. He lost his endorsements the moment it came out that he broke his hand hitting someone. That didn't happen in year 2. Maybe it was missing a quarter of the season through injury (yet again). Maybe it was him demonstrating (yet again) that he has some very immature traits for a supposed leader. Or maybe the Clippers just pulled a fast one in order to get some kind of decent return for him instead of letting him walk. It's not the FO's fault that he didn't demand a no-trade clause... it's Blake's. But then, only a handful of the very best players can make those kinds of demands, and Blake isn't Tim Duncan, Kobe Bryant or LeBron James. Bottom line is that's the business. Blake entered the draft probably expecting to play for his hometown team (they had the best odds of winning the lottery that year), but he didn't. Those are the chances one takes when entering the draft. Living in Los Angeles and making eight or nine million dollars in your rookie year, however, is a pretty sweet consolation prize for not getting to be where one might prefer to be. Blake made the most of the opportunities that being in Hollywood affords anybody famous... building his celebrity brand and making extra money in the second largest media market. I'm not hating on the guy, but fans abandoning the franchise because they "turned their back" on a guy who ultimately led us nowhere is the apex of drama-queenery. You think Blake WANTED to leave LA? Really? Dude, you're better than that. He got more years and more money... the dude should be thanking us for drawing up that contract. You're 100% right... but that is the business no? affect B Ball but he couldn't do this in PHX. He seems to be making good money. Thanks for a fun 9 years! "RAISED AN ACTUAL BANNER INTO THE RAFTERS" that is the part that was on BG's part and he was not getting it done. By our front office estimation, it wasn't going to get done with BG (for whatever reason, I have many ideas). He has also been pampered by the Los Angeles lifestyle. If he wanted to stay, and EARN his money... he had to pull weight. He was pulling a good amount, don't get me wrong. BUT LOS ANGELES FANS ARE USED TO MEDIOCRE. Stop being afraid of truly succeeding. I am not even talking about a conference finals. I want a CHAMPIONSHIP. As CP said... "If we are not here to compete with GSW, then what are we doing?" THAT is the mentality (or lack of) that got BG traded. So thank you, its tough to say goodbye because we have had so many years with you. We've grown with you and grown accustomed to you... but, goodbye. And again, thank you. BUT he did not get it done. The team might've believed BG could've been a Clipper for life, and that this team led by him would be more competitive in the West - and we could add another CP-like piece to get back to the top. But instead our team struggled. No excuses, BG couldn't lead a team to even the mid tier in the west. So your business plan might change... that is reasonable. Blake Griffin Takes Shot at the Clippers. 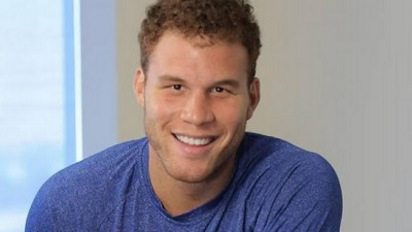 Celtics and Clippers Discussing Blake Griffin Trade? ← Austin Rivers Responds to Criticism.